If you’re looking for a quick, easy, and healthy breakfast recipe, this is just the thing for you! 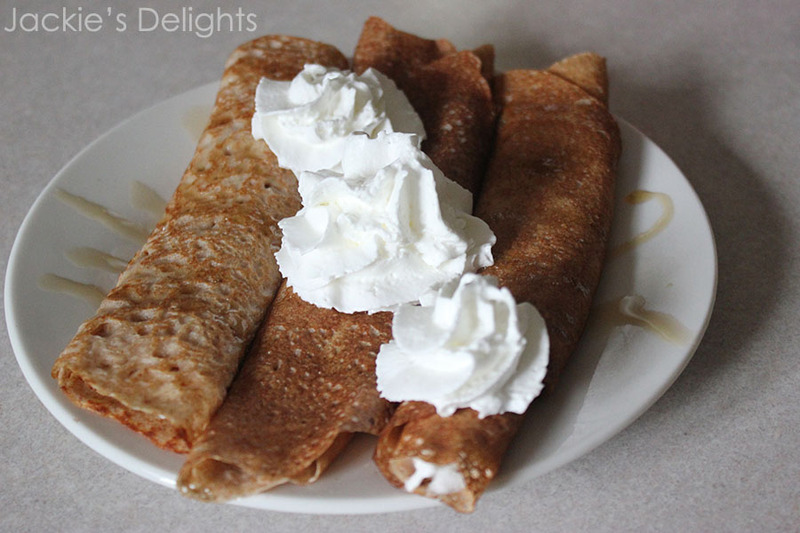 Just like thin pancakes, these crepes are extremely versatile and taste good with all the toppings you love, such as whipped cream, maple syrup, or nutella! 1. With a whisk, combine butter, eggs, and milk. Add in the flour, salt, and cinnamon. Continue to whisk until smooth. 2. Warm a skillet to medium heat. Butter or oil the skillet, then place a thin layer of batter to cook. You may need to pick up the skillet and lean it from side-to-side so that the batter covers the entire pan. Once the crepe begins to solidify, flip it over. It's ready once golden-brown on both sides. 3. Prepare your crepes with your desired toppings. Tastes great with berries, whipped cream, yogurt, syrup, chocolate spread... the possibilities are endless!